The building above used to be called Waverley House. Postcard shown circa 1910. 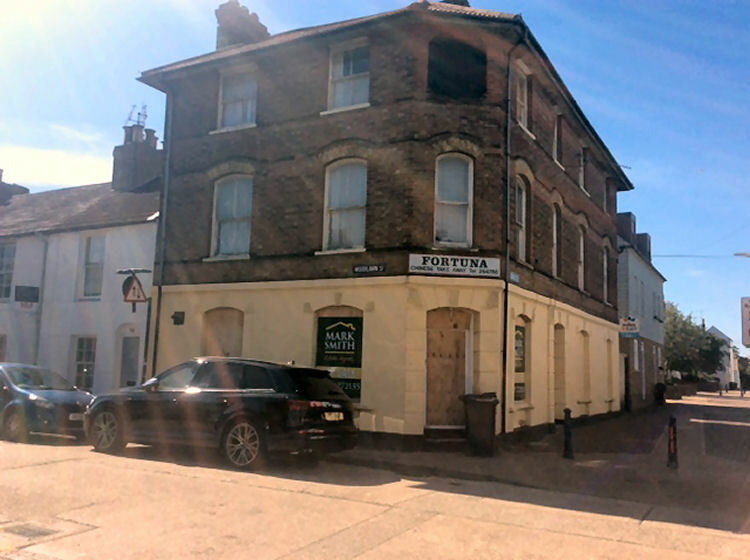 Was it ever a pub? Its address was also 15 Harbour Place before the roads were renamed. The "New Inn" is on the right of the picture. Above photo taken and sent by Steve Glover, August 2017. 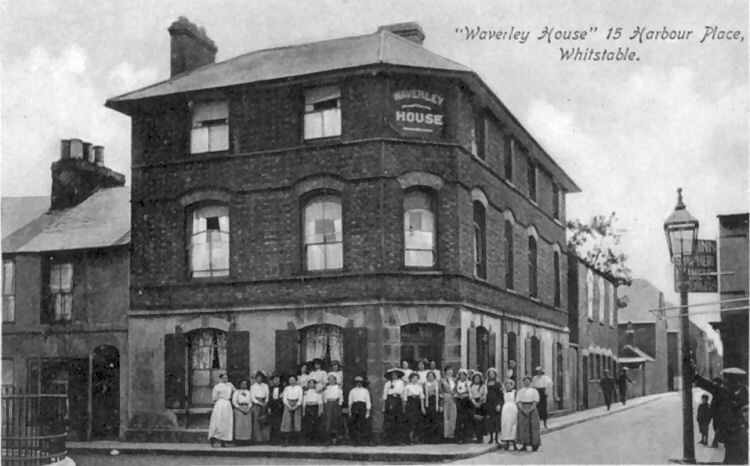 The above building is in Woodlawn Street, Whitstable, and it certainly has the appearance if a former pub. Steve says that the building is in the corner of Woodlawn Street and Bexley Road/Street, near the "New Inn." Further research tells me the following:- In 1870, the C of E set up a Mission Church by purchasing the old Temperance Hotel (i.e. Waverley House) and the storeroom at the rear of the property . At one time, it was a Temperance Hotel for young ladies. By the 1950s, it was better known as Waverley House and housed the well-known Waverley "fish and chip" shop. In recent years, it has been a Chinese Takeaway.